'Guardsman' bunching onion is a great variety for growers with spring markets. It is the earliest bunching onion we have found at 50 days to maturity, it is a full 10 days ahead of our other varieties. 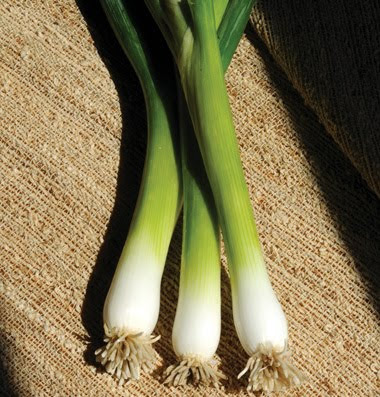 It has a nice flavor, not harsh like some scallions, and is mild enough for fresh eating. 'Guardsman' is actually a cross between a bunching onion (Allium fistulosum) and a bulb onion (Allium cepa). It has the vigor and good flavor of the bulb onion, and the slender shape of the bunching onion. 'Gunnison' is a yellow onion that lasts as long in storage as the old favorite 'Copra'. It achieves a slightly bigger size than 'Copra' in the same length of time, about 102 days to maturity, and is resistant to pink root. 'Gunnison' is a medium-large, round onion with flawless skin and small necks that dry down quickly. It is adapted to 38˚-50˚ latitude. If you grow onions for long-term storage, you know how time-consuming it is to cut off the tops before storing them. 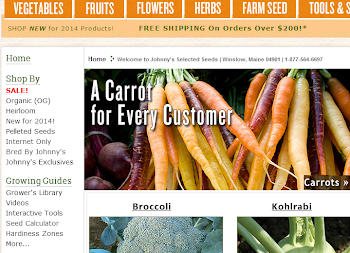 Johnny's now has onion shears, which have 5" spring-loaded carbon steel blades for topping onions. Is this the year you'll plant grapes? These delicious fruits are not as complicated as many people assume. If you plan now, you can have everything ready when the plants are shipped in spring after the danger of freezing in transit has passed. Whether you grow them for your family or for market, grape vines planted this year will provide many years of fruit for fresh eating, juicing, jams, and even your own wine. Johnny's offers three varieties of seedless table grapes: the red 'Einset', white 'Marquis', and purple 'Concord'. 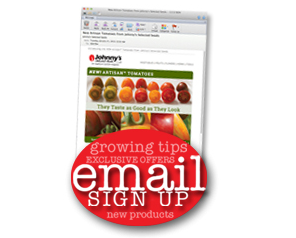 Plant one of each variety for harvest from summer through fall. We also have the cold-hardy red wine grape 'Marquette' patented by the University of Minnesota. Our most vigorous variety is 'Edelweiss', an excellent choice for planting on arbors or above patios to provide summer shade. 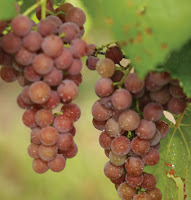 'Edelweiss' produces flavorful white grapes that can be used for fresh eating, juice, or wine. After you plant grapevines, get them off to a good start with vine shelters, which create a beneficial microclimate with higher humidity, higher CO2 levels, reduced harmful UV light, and increased beneficial blue light. Vine shelters also protect plants from rodents, rabbits, and wind. There's still time to order 'Seascape' strawberry plants and have hanging baskets of blossoms and berries for Mother's Day. The pre-cooled plants will ship in March. Plant them in hanging baskets or other containers in the greenhouse and within two months you'll have a great product to offer your customers. 'Seascape' is a day-neutral variety that bears fruit all summer. It fruits on unrooted runners that cascade over the sides of the pot or basket. The fruit is large and flavorful when left to ripen on the plant. 'Seascape' plants are also available at a later shipping date for planting outside. 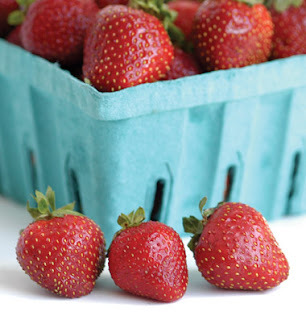 Strawberry plants are priced by the bunch, with 25 plants per bunch. Back by popular demand, the four-row pinpoint seeder! This seeder makes direct seeding fast and easy. It is designed for small to medium-sized seeds for example, pelleted carrots and smaller and you can select from four seed hole sizes. It comes with a long handle so you can walk alongside the bed, pulling the seeder and using the angle of the handle to determine seed depth. It plants four rows 2 1/4" apart, two rows 4 1/2" apart, or two rows 6 3/4" apart. The four-row seeder is one of many innovative seeders that will help you speed up planting in the market garden. There's a seeder for every application: a six-row seeder; a single-row precision seeder that can be pulled by hand or mounted on a Glaser wheel hoe; a European push seeder; a jab-type seeder; and a seed stick planter. We also have the Earthway seeder and accessories, plus several types of hand-held and broadcast seeders.